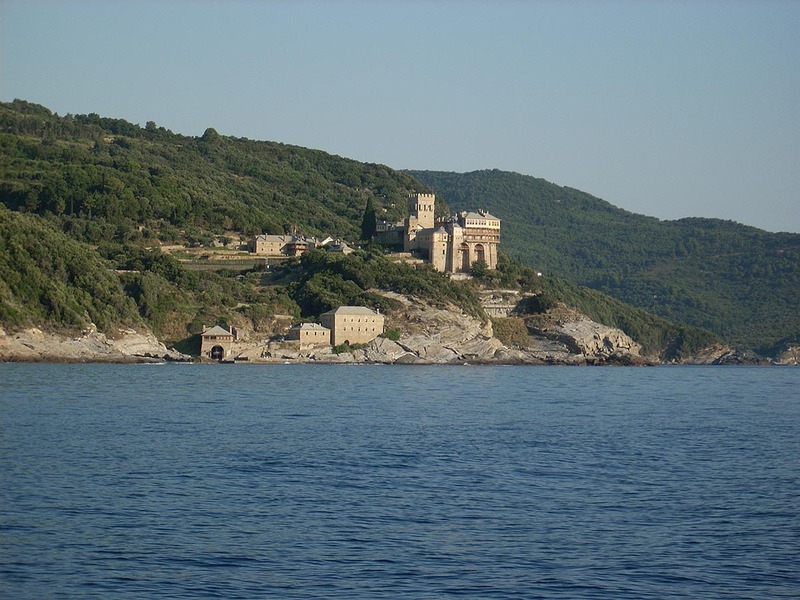 The Monastery Stavronikita celebrates on the day of Agios Nikolaos on the 6th of December. 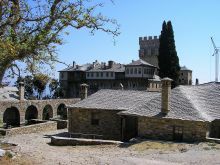 Regarding the establishment of the monastery there are several versions but the most probable is the one that the monastery originates from the monks Stavros and Nikitas. 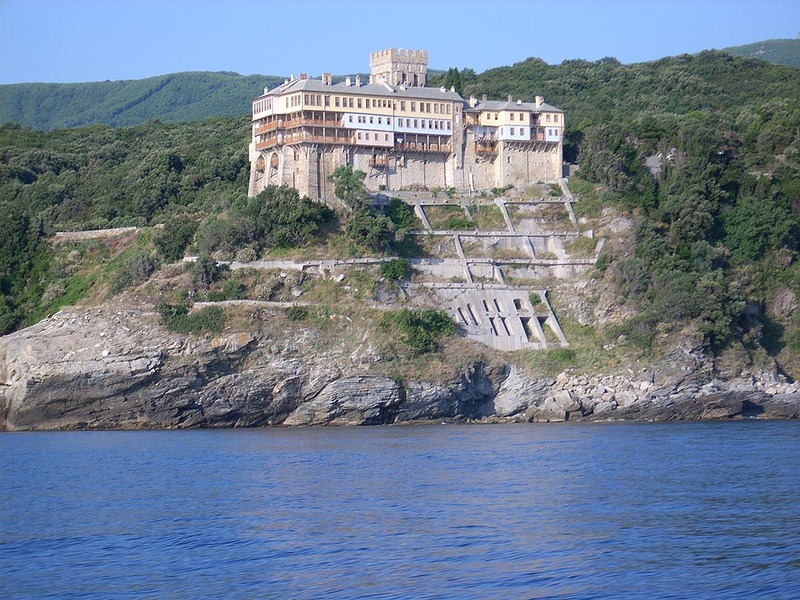 The Monastery is located on a rock 50 meters above the east coasts of Athos and it is an hour away from the Monasteries of Iviron and Pantokratoros. It is the 15th in hierarchy among the monasteries of Mount Athos. 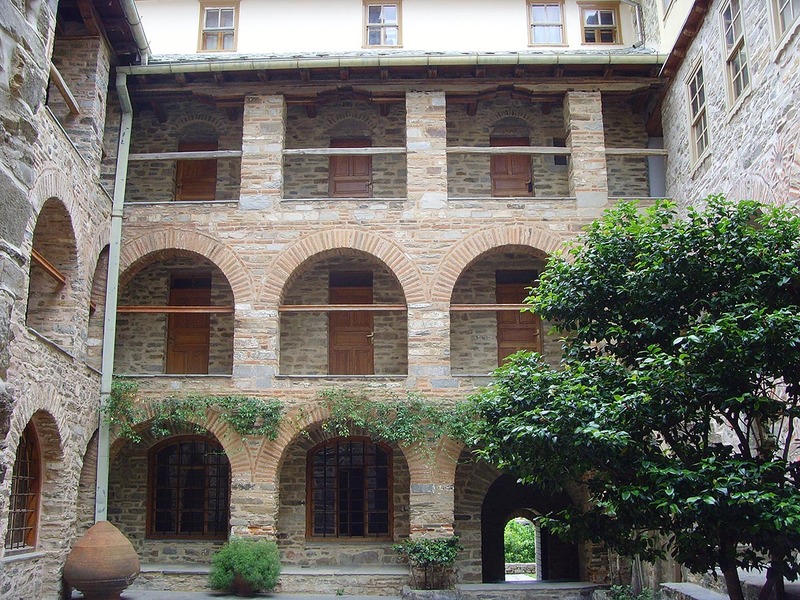 A document of Nikiforos I in 1012 validates the existence of the monastery as a Cell in the 10th century. 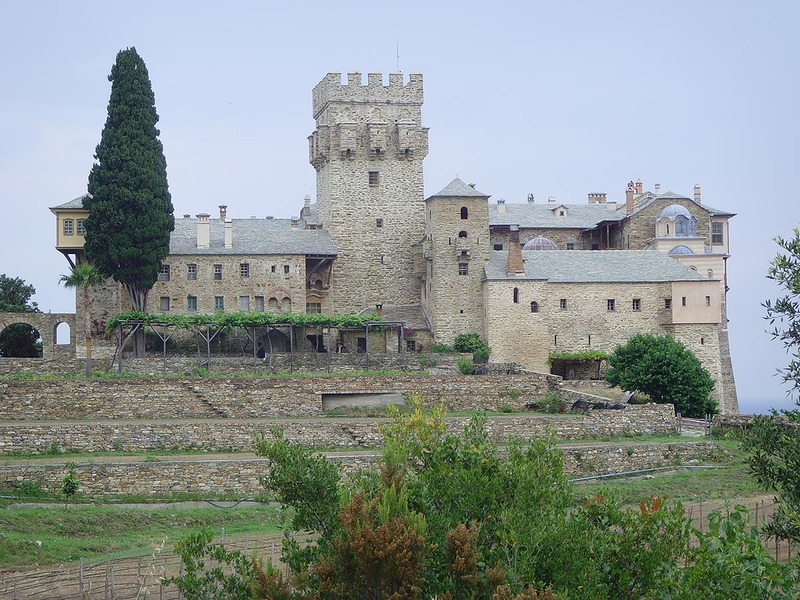 Another document of 1153 mentions the Cell Stavronikita. 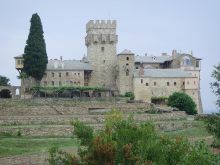 The history of the Monastery is unknown regarding the next centuries. 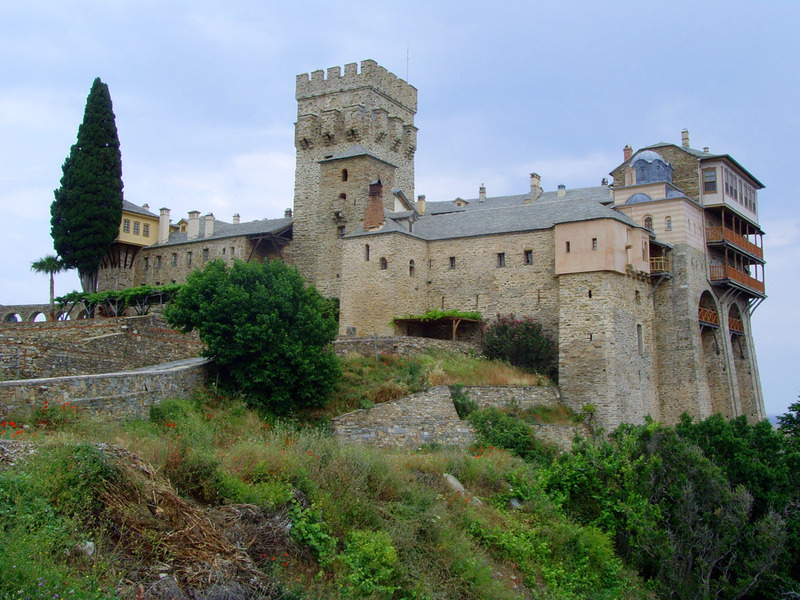 In 1533 the Monastery initially belonged to the Monastery of Koultoumasiou and after that to Philopheou but it received a lot of looting from crusaders. 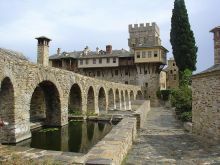 In 1533 Grigorios Giromeriatis bought it and he became the first abbot of the monastery, he built walls and began building.His work was completed by Ieremias I and he announced the Monastery as patriarchal and stavropegic. 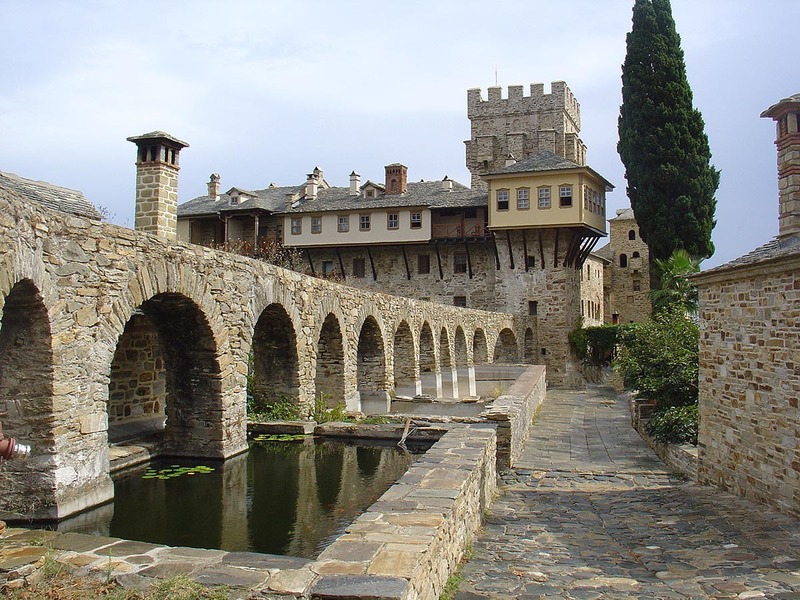 The monks honor him today, along with Grigorios, as the second owner of the Monastery. 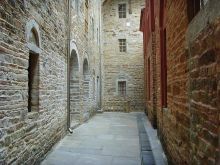 In 1607 it was burnt for the first time and it was built from scratch. 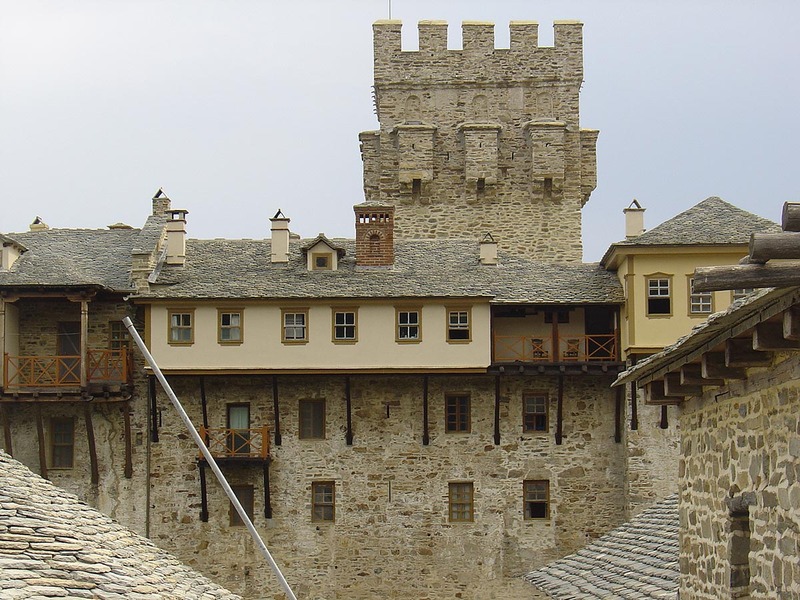 The Katholikon was built in 1456 by patriarch Ieremias and it was completed in 1546. During the same year the inside of the temple was painted by the painter of Cretan School Theophanis. The most important work of art is the mosaic picture of Agios Nikolaos Stridas, of the 14th century.The Prothesis was renovated in 1780 and inside it there are many murals also attributed to the Cretan School. 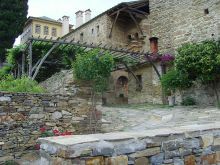 The Monastery owns 6 chapels, 4 Cells in Karyes and 44 Kalyves in Kapsala. 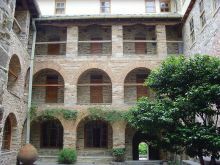 The library contains 58 parchments with the most valuable of all being the handwritten parchment the Euaggelistarion no. 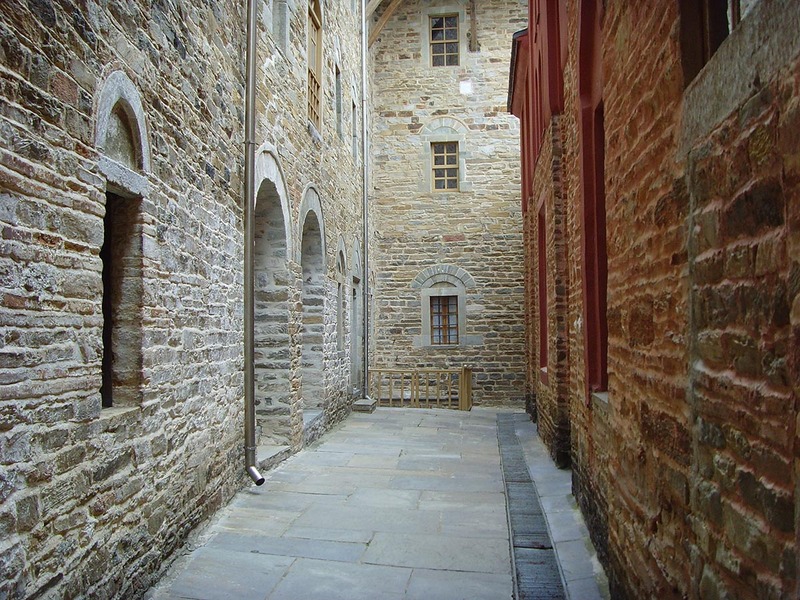 46, 2 cotton silk parchments, 3 scrolls in parchment and plenty printed books. 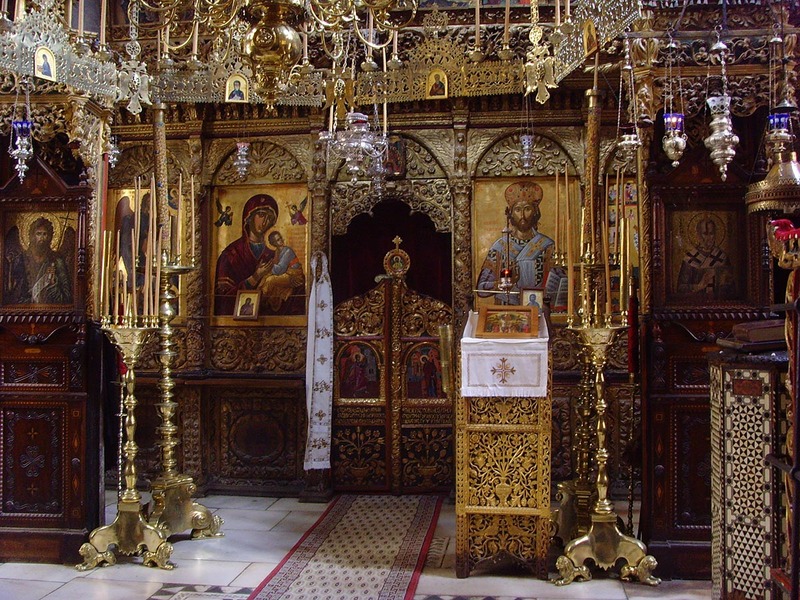 In the sacristy there are remains, valuable functional utensils, canonicals, the golden picture of Agios Nikolaos, several portable pictures such as the one of Agios Nikolaos Stridas which is considered the most valuable. 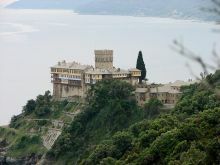 Guests should visit the Katholikon, the murals of Theophanis as well as the unique mosaic picture of Agios Nikolaos Stridas. 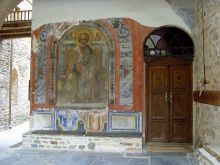 The most important work of art at the temple of the Monastery of Stavronikita is the mosaic image of Agios Nikolaos of the 14th century which is said that it was lying in the sea bed for 500 years. 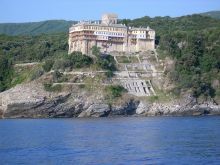 One day, some fishermen brought it to the surface and offered it to monks. 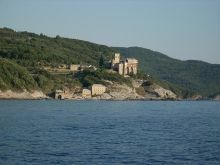 But in a slot on the forehead of the Saint there was an oyster that was seen as a sign of the miraculous attributes of the picture and it was named Agios Nikolaos the Stridas (Oyster man). The oyster is kept as a sacred artifact. 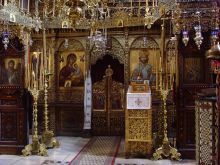 The great picture of Prayer in the esonarthex presents a derogation from the traditional, because on the left of Jesus is not the Virgin Mary, but Agios Nikolaos in a position of prayer. The icon painter probably wanted to stress in this way the fact that the temple is dedicated to Agios Nikolaos. 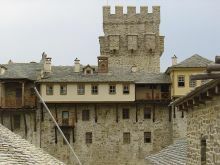 The picture is of the same century and was probably painted specially for the Katholikon.